It was beautiful, but shall we say… breezy, day after the March Blizzard. We drove up to Red Feather Lakes to spend a quiet weekend away. I decided to go exploring from the house and wound up at the roads-end with this view…. 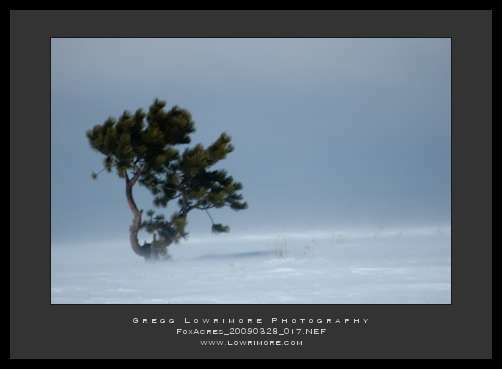 Posted in General and tagged colorado, fox acres, red feather lakes, snow, wind, winter by greggl with no comments yet. Shortly after the image of the Waxing Crescent Moon and Venus (see post below) occurred, I caught the full moon rising one evening just after the sunset. The haze and dust in the near-the-surface atmosphere causes the moon to be quite yellow and distortedly large like this. This image may not show it, but the moon is just a few degrees above the horizon, with a hill rising before it. Handheld in 35 degree weather with a slight breeze that dropped the wind chill down into the twenties. My hands were freezing! 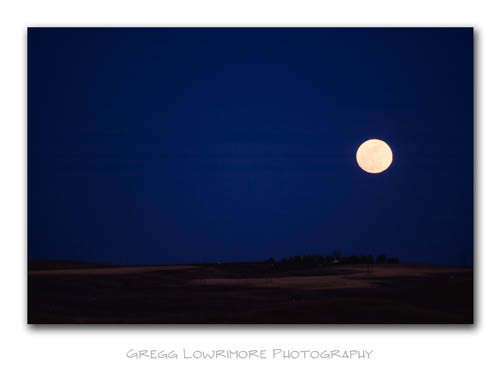 Posted in General and tagged full, moon, moonrise by greggl with no comments yet. Mar 18th Words Worth a Thousand Pictures! from DLWS…Far and Away…. | Joe McNally’s Blog. Posted in General and tagged Joe McNally, quote by greggl with no comments yet.